What’s a Dental Night Guard? So you’ve just had your six month dental checkup and you were told you need to consider getting a dental night guard. What exactly is a dental night guard and what is it for? The team at our dental office in Clinton Township is here to explain. What’s a Dental Night Guard For? Dental night guards are often the treatment of choice for patients who have a history of grinding their teeth while they sleep. Also known as bruxism, tooth grinding typically occurs at night when patients have no way of knowing they even do it. Chronic bruxism can lead to several problems with teeth and even the jaw. If left untreated, bruxism can cause broken, chipped, or cracked teeth, headaches, and TMJ/TMD. Bruxism can be treated and should be done so early to avoid future problems. What Types of Night Guards Are Available? There are two types of night guards: professional, custom-made and over-the-counter, boil and bite. While the night guards found at drugstores can work to reduce tooth grinding, there are several benefits to choosing a custom night guard made by a dentist. 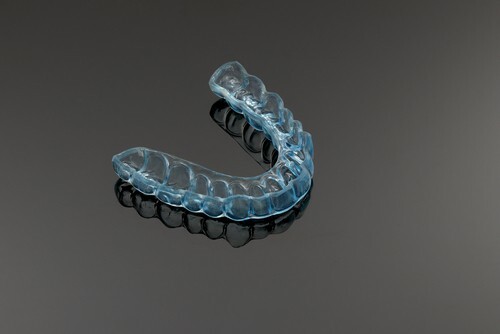 To begin, custom-made night guards use detailed molds of your teeth, making them a more comfortable choice. Your dentist will also consider the alignment of your jaw during the fitting process to ensure your night guard won’t place unnecessary stress on the joint which could lead to other problems. Lastly, while a store-bought night guard may seem attractive at first due to the lower cost, custom-made night guards usually last up to 10 years, making them a more cost-efficient option in the long run. Night guards may be the most common treatment method to stop tooth grinding, but it certainly isn’t the only option. Other recommended treatments may include methods of stress reduction, limiting the intake of caffeine or medication with stimulants, or perhaps orthodontics to straighten teeth and realign the jaw. If you happen to notice any of these signs and suspect you may be grinding your teeth, we welcome you to give our Clinton Township dental office a call to schedule an appointment. We’ll perform a thorough evaluation in our relaxing office to determine if bruxism is the root of what you’re experiencing. If it is we’ll talk with you about your treatment options and work together to decide which one may be best for you.